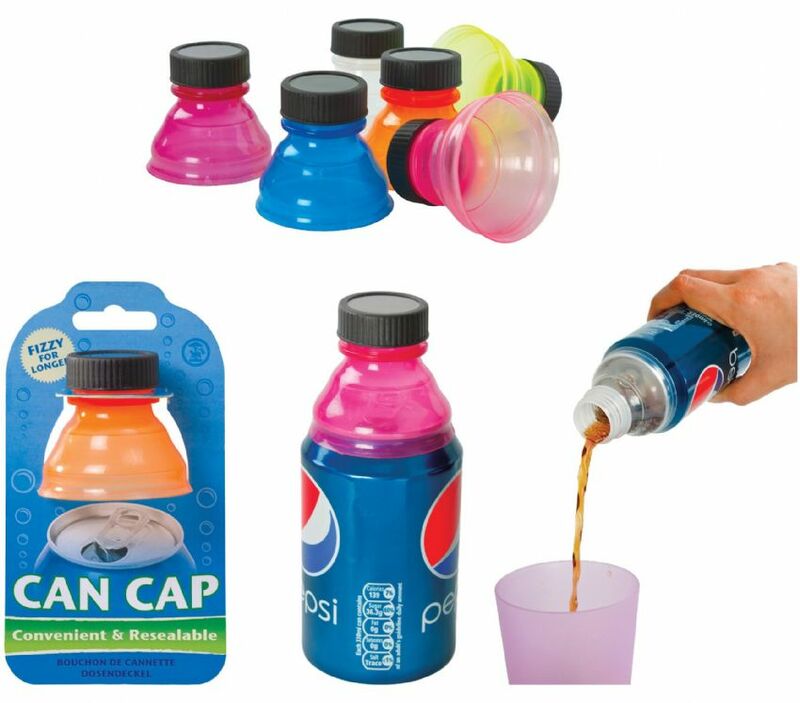 Turns a can into a bottle! This bottle top simply snaps onto a drinks can, forming a tight seal, so the contents can be cleanly stored for later. Great and practical idea! Colours vary.